Summary: Studies suggest pedestrians in wheelchair have a higher risk of being injured or killed in automobile accidents. Every day, there is a risk of pedestrians being injured by drivers who are not paying full attention to the road. It becomes tough for the pedestrians and motor vehicles to share the road at times, with the pedestrian not having as much protection from the collision as the driver does, which means that a pedestrian collision can have a higher risk of severe and/or fatal injuries when compared to vehicle collisions. In this post, our St Louis Car Crash Lawyer will offer some more insight into this. If that wasn’t bad enough, the risk of death increases more for pedestrians who are in a wheelchair. Many states have laws that protect the pedestrians by giving them the right to cross the road within the marked crosswalks, which means that a car that hits someone in a crosswalk will be found to be negligent and responsible for the accident – which can include compensation for the pedestrian, his or her injuries and any financial losses related to time lost at work. A recent report on CBS News presented the results from a study published by the BMJ Open online publication, which showed that there has been an increase in the number of wheelchair pedestrians dying in car accidents within the United States. More than 500 people in wheelchairs died between 2006 and 2012. Research studies have found pedestrians in wheelchairs are three times more likely to die from injuries. Most of the accidents involving people in wheelchairs who passed away have been found to take place within a crosswalk, and about four out of every 10 accidents had an issue with the flow of traffic being under control. These numbers have climbed as the number of pedestrians being hit and killed in accidents continues to rise. For example, about 5,000 pedestrians die from a car collision while another 76,000 suffer injuries. These numbers continue to add concern for people who become more vulnerable in wheelchairs as they attempt to cross a street legally. The fatality risk becomes even higher for older men between the ages of 50 and 64 who use a wheelchair; especially because wheelchair pedestrians are more likely to be unseen by drivers, not knowing there is someone who is supposed to get the right-of-way. Studies have found that about 75 percent of the accidents mentioned above showed that drivers were not taking preventive actions to try and avoid the collision. That statistic shows that drivers are not really looking and don’t give themselves a chance to react when they see a wheelchair pedestrian who might be in their path. But regardless of whether they were able to see a person trying to cross or not, drivers are always held responsible when a pedestrian – wheelchair or not – is hit in a collision and is either injured or killed. The statistics published in the BMJ Open study have shown that more needs to be done in terms of providing better protection for wheelchair users and other pedestrians; because no one should feel they are entering dangerous territory when trying to legally cross an intersection. 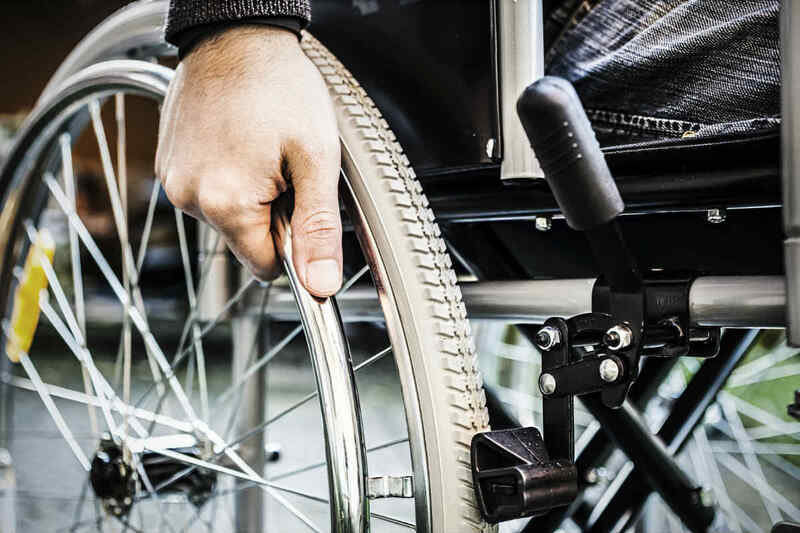 If a wheelchair bound pedestrian gets injured in a car accident caused by the driver’s negligence, speak with a St. Louis automobile accident attorney at The Hoffmann Law Firm, L.L.C. for a free case evaluation. Call (314) 361-4242 today.